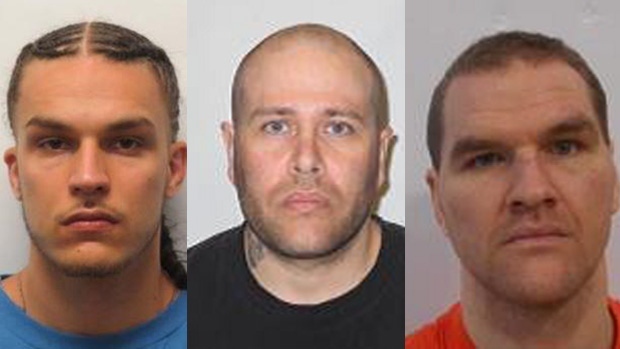 Police in Saint John say one offender who "walked away" from a federal halfway house in the city has been found, but two others remain unlawfully at large. Police said Tuesday that they were looking for Nico Soubliere, James Burnside, and Darren Snell, and that warrants had been issued for their arrests. Police say Burnside has now been located and is in custody, roughly two weeks after he left the Parrtown Community Correctional Centre on Jan. 28. Police are still looking for 26-year-old Nico Soubliere, who left the Parrtown Community Correctional Centre on Aug. 8, 2018. Police are also looking for 35-year-old Darren Snell, who left the Parrtown Community Correctional Centre on Feb. 4.